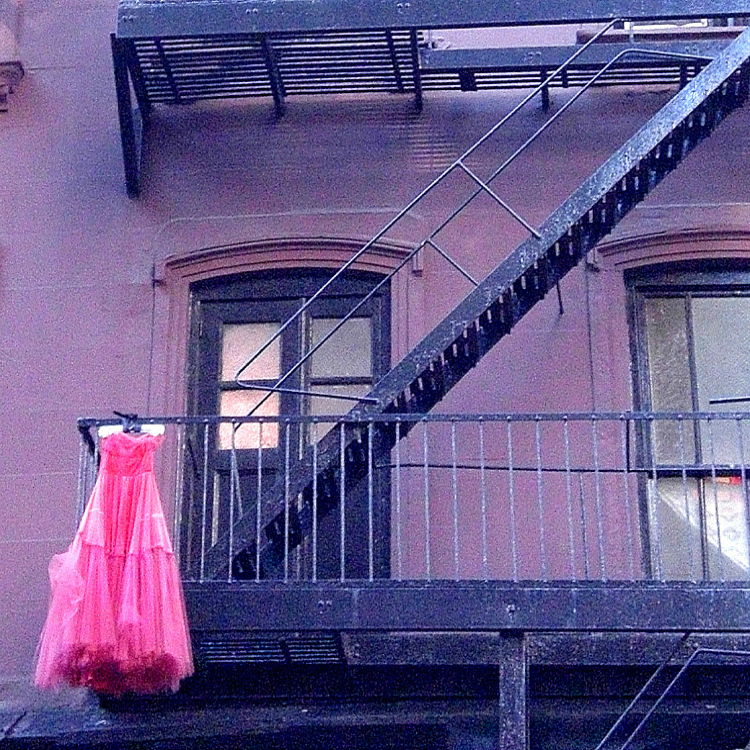 Whilst walking along in Greenwich Village, New York, we looked up to see this vivid pink net dress just strangely hanging high up on the fire escape !! I always try to remember to look up when I visit any city or place as there is always something else going on up there architecturally or randomly – like this odd find which was picture perfect with the colour of the building complementing the dress along with the iconic backdrop of the city’s fire escapes! So many questions – why is it up there? who put it there? what does it mean? Love spotting the unusual, the quirky, the unexplained as we travel! !